With three auctions now taking place a month on iDealwine, buyers are offered a larger volume and more diverse array of fine wine on the online platform. In April, rarity was the all-important word and hard to find bottles and mature vintages from all the different winemaking regions were snatched up. Read on for a breakdown. 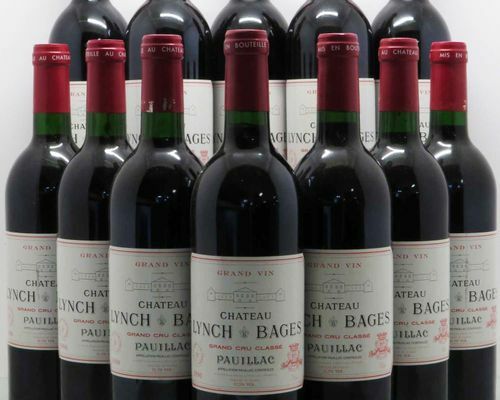 Rare Bordeaux (Petrus, Château Latour) in noteworthy vintages, especially those still in their original wooden case, were snapped up at auction in April (Lynch Bages 1990, Palmer 1989, Montrose 1982). Historic vintages proved particularly popular (a magnum of Mouton Rothschild 1945 sold for €15,808 and an Yquem 1929 for €2,067), as did large format bottles (a melchior of Château Léoville Barton:€2,821, +21%). In April, white Burgundy found itself in the all too unusual position at the top of the rankings ahead of red Burgundy. The Montrachet from Domaine Leflaive never ceases to charm enthusiasts and a 1997 came close to the €5,000 mark (+54% at €4,986). Another star at auction was the Corton-Charlemagne from Domaine Coche-Dury: the 2010 went for €3,770 (+13%) the 2009 for €3,405 (+46%) while the 1997 saw a hammer price of €3,283 (+102%). To a lesser extent, Comtes Lafon also registered good progression (€1,338 for the 2010, +24%). The success of these fine Chardonnays may be spectacular, but the great Pinot Noirs of the Côte de Nuits consistently excel at auction. April saw some magnificent grands crus pass through the online platform such as a La Tâche 2013 (€3,040, +39%), La-Romanée 2010 (€2,979, +26%) and even the Vosne-Romanée Cros Parantoux 2015 from Emmanuel Rouget that fetched €1,946. The Chambertin from Domaine Rousseau proved a great success: the 2002 was auctioned for €1,763 (+64%) and the 2000 for €1,702 (+103%). Domaine Roumier’s Chambolle-Musigny Les Amoureuses is another highly prized bottle that reached €1,338 in the 2003 vintage (+82%) and at the same time a Bonnes-Mares 2001 from Domaine Frôle almost reached the €1,000 mark (€946, +51%). From the Rhône, the stand out bottle was once again the Hermitage Cuvée Cathelin from Domaine Chave. April may not have been a record breaking month for this cuvée (the preceding month saw a bottle of the 2003 fetch €8,512) but it was hardly disappointing: on the 12th April the 1990 was won for €6,202 (+155%). Côte-Rôtie was another appellation from the northern Rhône that caught buyers’ attention and famous signatures such as Guigal (La Landonne 2009: €426, +13%. La Turque 2009: €408, +7%) and Jamet were particularly coveted. From the South, Château Rayas reigns supreme in Châteauneuf-du-Pape and prices are increasing at a steady rate across all vintages. Although the key players in the Loire remain Clos Rougeard (Saumur-Champigny Les Poyeux 2010: €304, +44%), Domaine Dageneau (the Vouvray Silex 2005: €219, +16%) and Edmond Vatan in Sancerre (Clos de la Néore 2008: €195, +34%), Domaine Charles Joguet proves to be another producer on the rise: a Japanese enthusiast became the owner of a Chinon Clos de la Dioterie 1990 for €215 (+125%). As for the other French regions, wines from the Jura experienced a price stabilisation (albeit it a rather high one), particularly those from Domaine Overnoy and Domaine Ganevat. A similar trend arose in the Languedoc where prices settled somewhat. 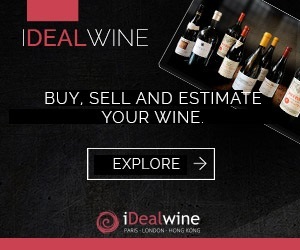 Non-French wines represent just a small amount of the wines exchanged on the iDealwine platform, yet their presence never fails to arouse enthusiasm amongst the more adventurous bidders. 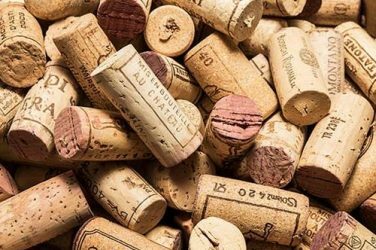 Bottles from some of the big names outside of France were well received in April including examples from Piedmont (Bruno Giacosa, Rinaldi, Gaja…) Vega Sicilia in Spain, Penfolds in Australia and Dominus Estate in the US. With careful consideration you choose a beautiful bottle from your cellar and pour a glass only to be greeted by a horrible smell or strange taste! Why? 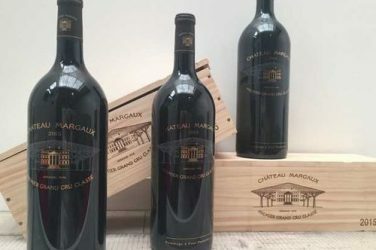 Margaux 2015, Rousseau and Charles Joguet: what’s selling on iDealwine? Our latest auction report gives an insight into the emerging trends at auction during the month of May. Essential reading for anyone looking to sell a few bottles.